Introduce some style to your kitchen. Holds up to 17 bags of shopping with ease. 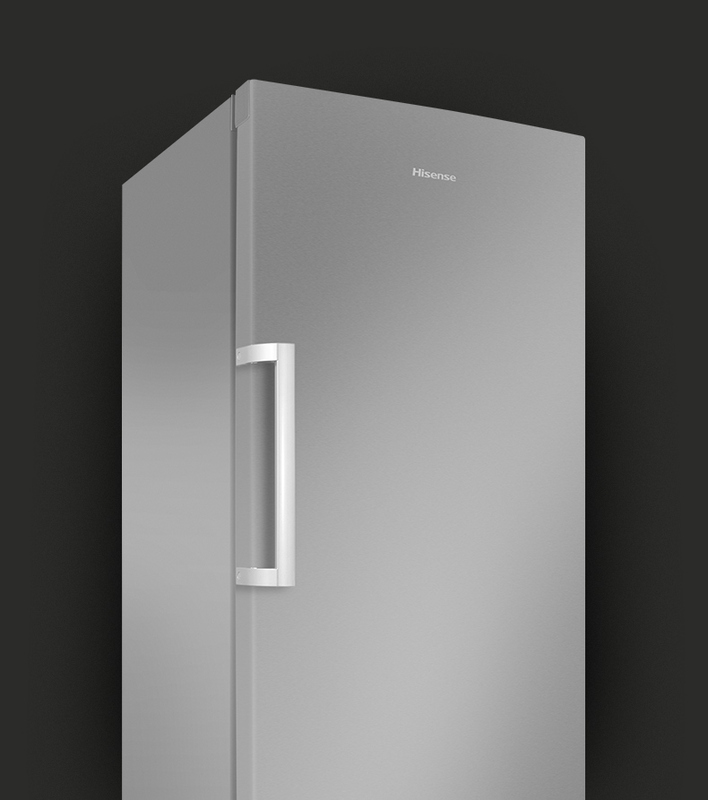 If you’re looking for a change of style from regular white fridge but don’t like the idea of stainless steel, the Hisense RL423N4AC1 in stainless steel effect is for you. 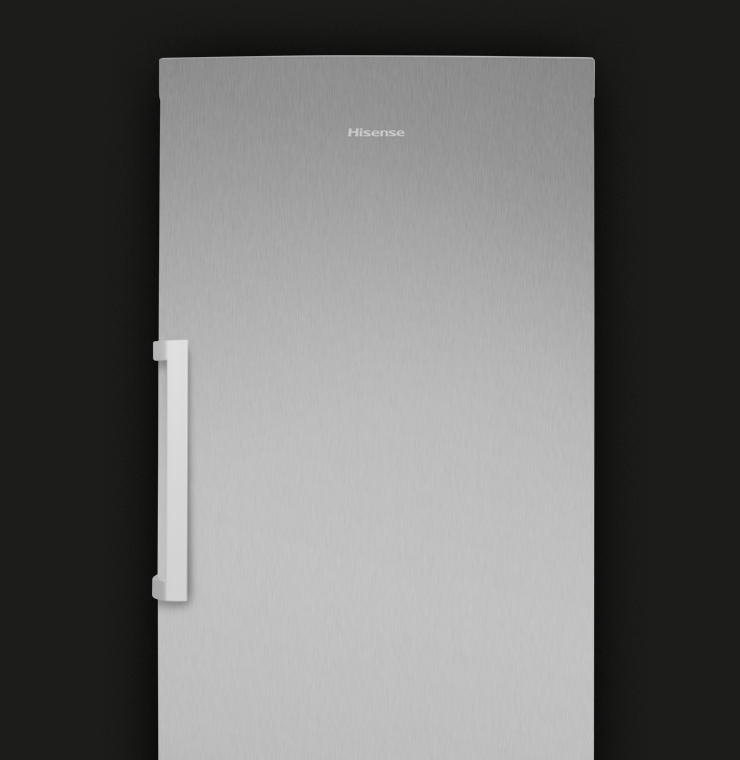 With a 320-litre capacity, it’s prefect for style conscious, medium-sized households and, with Total No Frost with Multi Air Flow for even temperature distribution, it’s also perfect for those who never want to worry about frost build-up ever again. 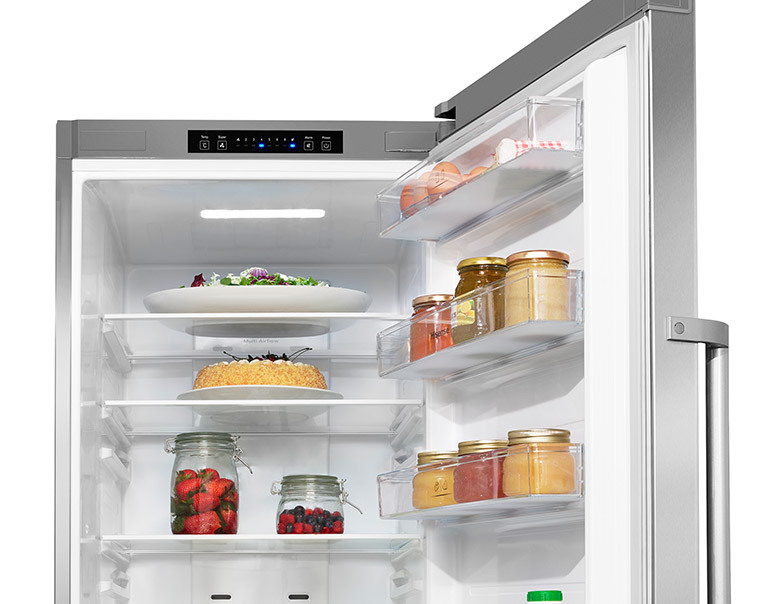 Plus, it also features an efficient LED internal light, Electronic Control that puts you in complete control of your fridge’s temperature, a Super Cool Function to rapidly stabilise the temperature of food as soon put it in the fridge and an Open Door Alarm for those times when you forget to shut it properly. Total No Frost means no frost, anywhere – ever! 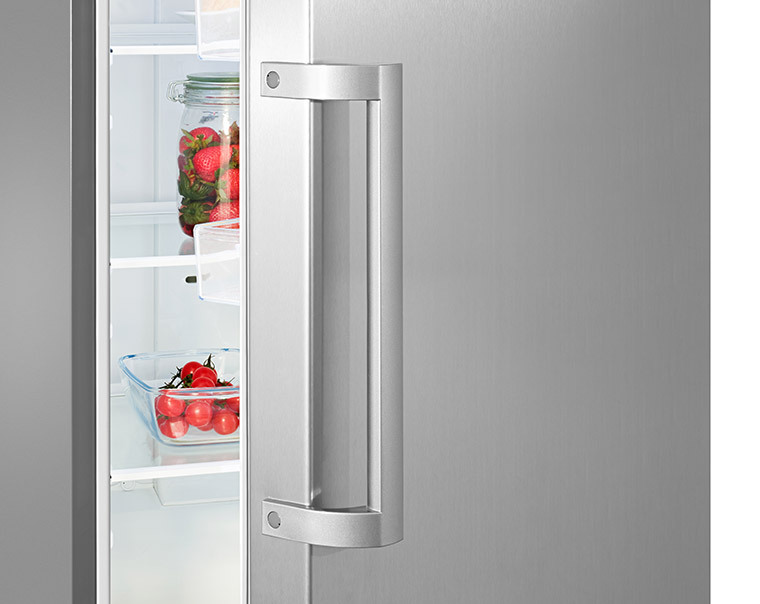 More advanced than ordinary frost-free, the innovative Total No Frost Technology from Hisense circulates cold air evenly throughout your fridge and freezer to prevent ice crystals from forming, so there’s no need to ever manually defrost. More advanced than ordinary frost-free. 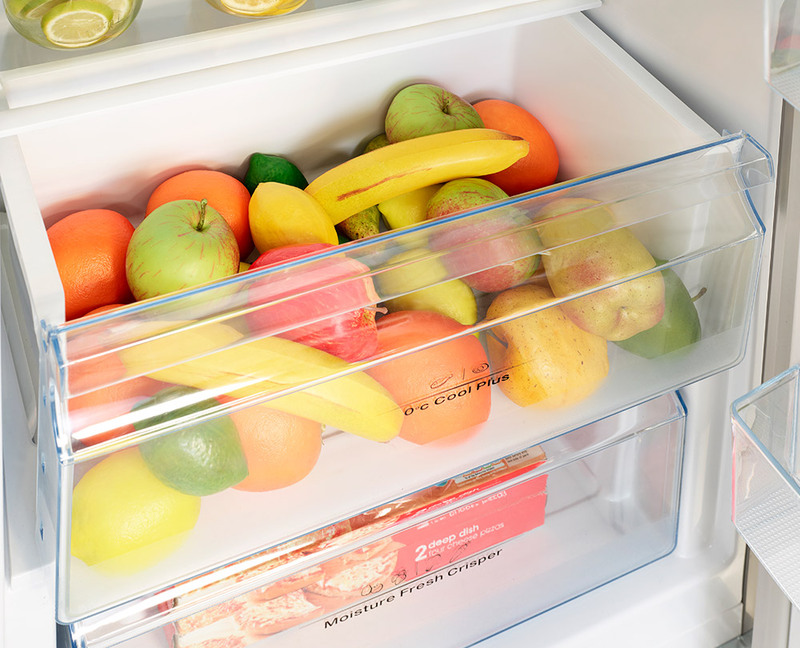 Intelligent and evenly distributed air system in both fridge & freezer. No water or ice build up in fridge or freezer ever. Easily control the temperature of your appliance with a simple touch of a button. 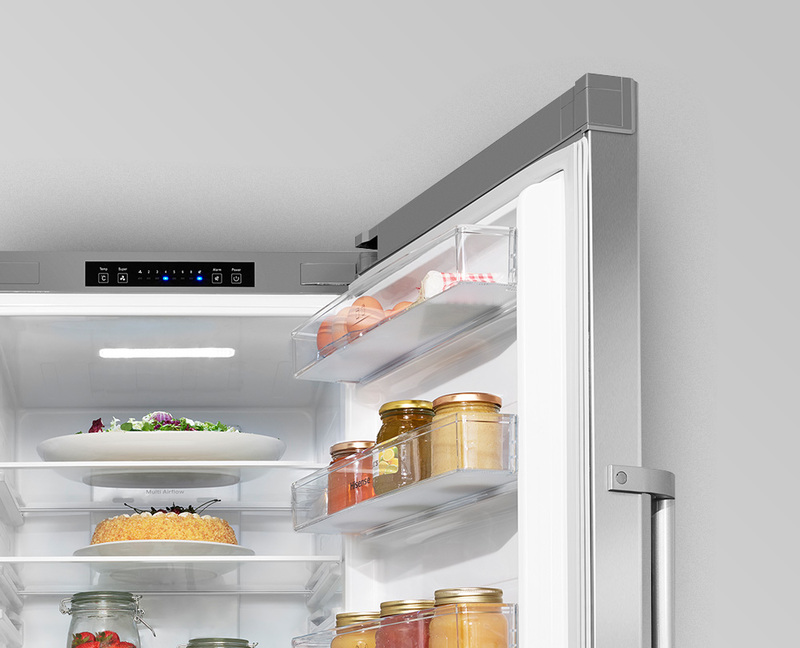 Integrated into the internal light of your fridge, the Electronic Controls allows you to easily control the temperature of your fridge and freezer with a simple touch of a button. Integrated Open Door Alarm to let you know if you forget to close the door. 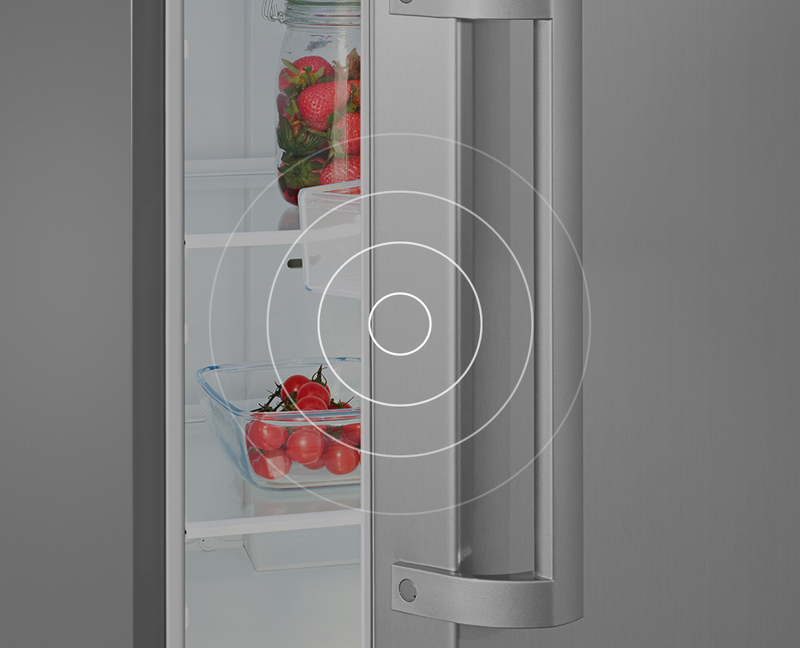 A built-in timer and alarm alerts you when the door has been left open for an extended period of time, to prevent the temperature inside the fridge or freezer rising to high allowing food to spoil. Lock in more nutrients and moisture with Super Cooling. 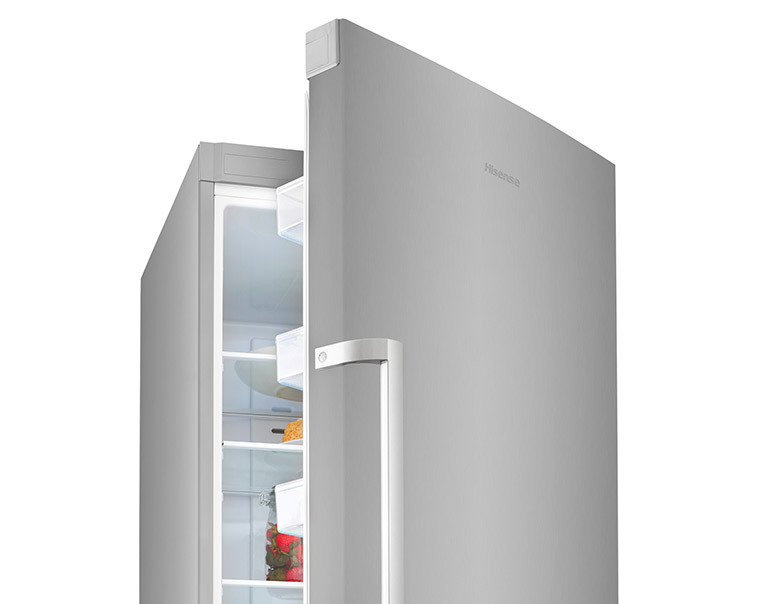 The Hisense Super Cool functions rapidly stabilise the temperature of food as soon as you’ve put it in your fridge, which means it retains more nutrients and moisture, tastes great and stays as fresh as possible. 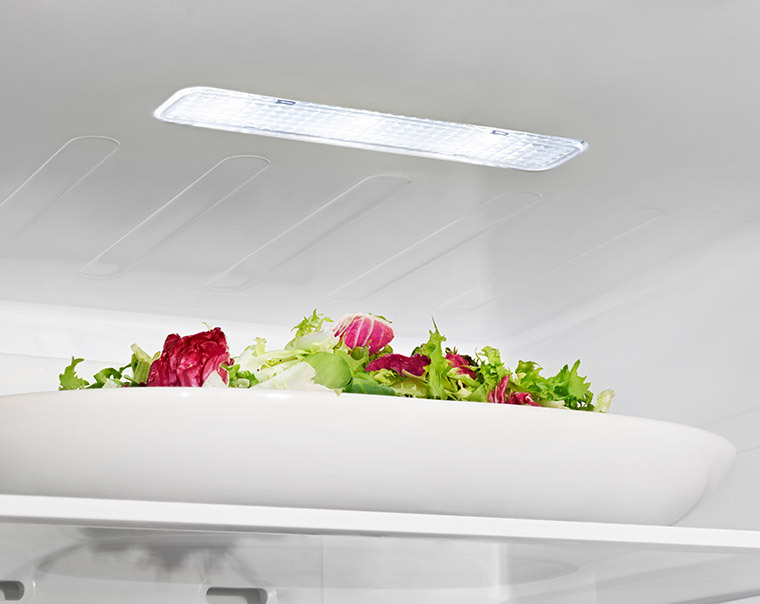 Brighter and more efficient LED lighting. 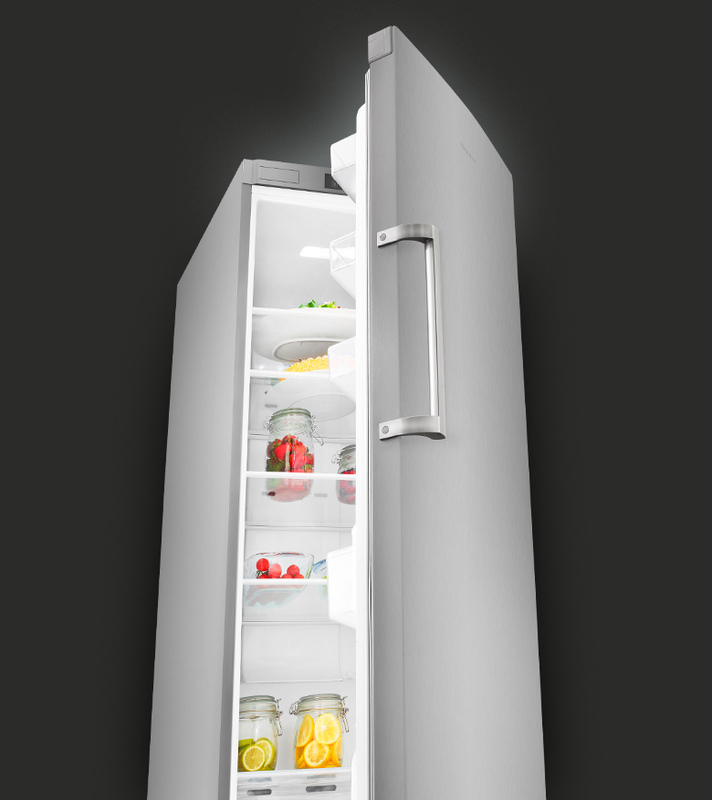 Brighter and more efficient than standard incandescent fridge bulbs, LED lighting allows you to see the contents of your fridge more clearly, while also saving energy. 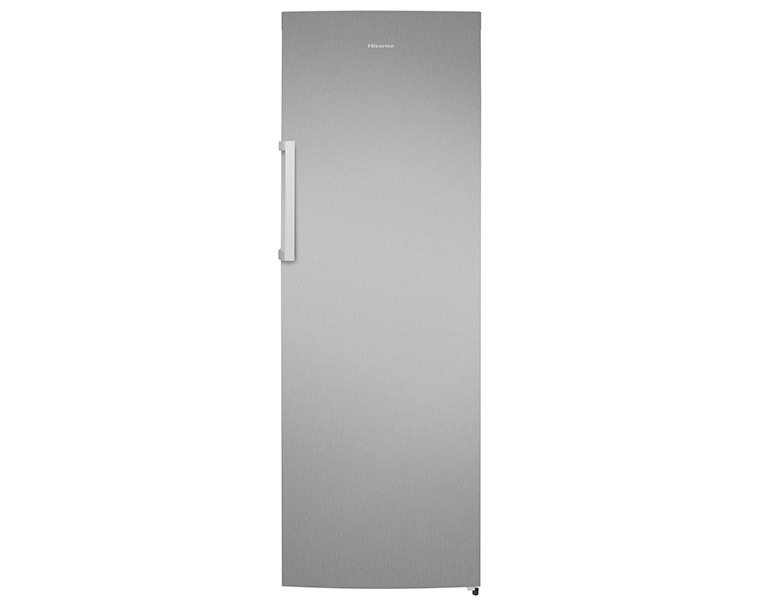 This fridge looks great and is really reasonably priced. The door has loads of space and I love that it has 2 drawers. The shelves are well spaced. My only issues are the seal is so tight that's it is quite difficult to open, although I'm sure that will change over time, also handy in a way as the little ones can't open it so easy. Also the drawers can get stuck a little, but I do have them filled to the brim. Overall it's a great purchase that I am very happy with.